Address: Carretera Fuertes, nº 4, CP.- 15.011, A Coruña. In order to guarantee that use of the website complies with the criteria of transparency, clarity and ease of use, Compañía de Tranvías hereby informs users that all suggestions, queries or enquiries regarding this Legal Notice or any other information documents included on the website shall be received and resolved via the following email address: correo@tranviascoruna.com. All contents featured on this website, with particular reference to the designs, copy, images, logos, icons, tradenames, brands or any other information susceptible to industrial and/or commercial use, are protected by the corresponding copyrights, and no information may therefore be reproduced, transferred or registered without the specific prior consent of their owner, Compañía de Tranvías. Notwithstanding the above, users may use the information provided for the purpose of processing their orders and the corresponding contact details. Compañía de Tranvías accepts no responsibility for the links to other websites or pages that may be included therein, as it has no control over the aforementioned websites and pages. Users therefore access said contents under their sole responsibility and the terms and conditions stipulated therein. The access and use of the website of Compañía de Tranvías is subject to these general conditions. The access and use of the website further imply the full, unreserved acceptance of these general conditions. 1. All of the contents of the websites of Compañía de Tranvías (including but not limited to photographs, illustrations, texts, audio files, video, software, designs and logotypes) are subject to Intellectual and/or Industrial Property regulations. The rights to the contents correspond to the Compañía de Tranvías de La Coruña, S.A. or otherwise to third parties, where applicable. Under no circumstances does accessing the website of Compañía de Tranvías imply any transfer, transmission, or any type of waiver, either wholly or in part, of these Intellectual and/or Industrial Property rights. 2. Neither shall the accessing of these websites result in any type of right regarding, for example, the exploitation, transformation, decompilation, distribution, or public communication of the contents, except without the prior written authorisation of Compañía de Tranvías de La Coruña, S.A. or the third party owners of these rights. Users may only view and obtain a private copy of the contents, providing any such copy is solely and exclusively for their personal and private use, with any use for commercial purposes being expressly prohibited. 3. Users may not, under any circumstances, modify or remove the identification details that may exist referring to the rights of Compañía de Tranvías de La Coruña, S.A. or any third parties in relation to the contents. Users may only access the contents by way of the methods or procedures provided for this purpose on the website of Compañía de Tranvías or which are normally used on the Internet for this purpose, providing these do not imply any infringement of Intellectual Property rights or any type of harm to the website of Compañía de Tranvías, and/or the information and services offered. 4. Any use that may be made of the information and contents shown on the website of Compañía de Tranvías and/or from accessing other websites belonging to third parties through the links shown on the website of Compañía de Tranvías is made at the exclusive liability of the persons performing these actions, without Compañía de Tranvías de La Coruña, S.A. being liable in any event for any harm or damage that may arise as a result of any such use or activities. 5. Users agree to use the information and services shown on the website of Compañía de Tranvías in accordance with legal requirements, these general conditions, and with accepted morals, good conduct and public order. 6. Compañía de Tranvías does not accept any liability for any harm or damage caused to the user’s software or hardware arising as a result of accessing the website of Compañía de Tranvías or from the use of the information or applications contained therein. 7. Compañía de Tranvías reserves the right, without any prior notification and at any time, to temporarily suspend access to its website and to make any such modifications it may consider necessary to the site, the services and information it contains, the presentation or location of the same, and the conditions of access and use for the website of Compañía de Tranvías. 8. Compañía de Tranvías does not guarantee that the contents of its website are suitable or available outside of Spain. 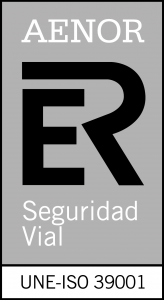 In the event of all or any of the contents of the website of Compañía de Tranvías being considered illegal in countries other than Spain, access to the same and their use by users is prohibited, and in the event of this occurring, any such use shall be the sole liability of the user, who shall be obliged to comply with applicable national legislation. 9. All matters arising in relation to the website of Compañía de Tranvías shall be governed in accordance with Spanish legislation and subject to the jurisdiction of the Courts and Tribunals of the city of A Coruña, with any parties involved waiving their right to any other jurisdiction that may correspond to them. 10. Data use during browsing. The cookies used by Compañía de Tranvías on its website www.tranviascoruna.com are only used to keep the user’s session open, which means that these cookies are only used to associate a session with an anonymous user in order to provide them the service they have request. These cookies are stored on the user’s hard disk in order to automatically identify them in future sessions.